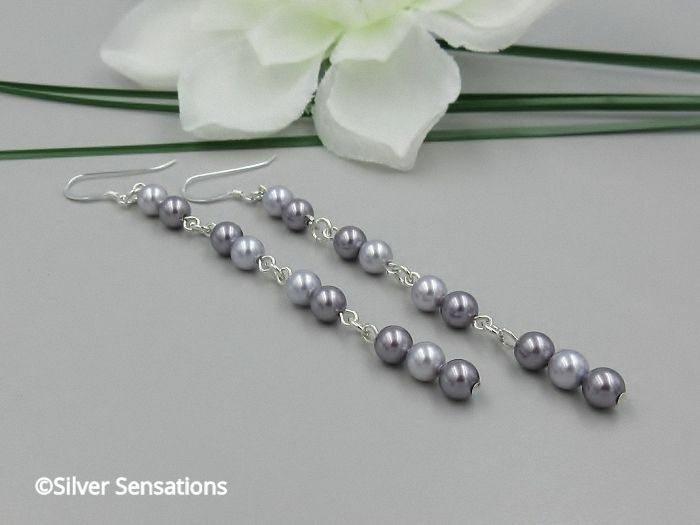 These elegantly long ladies purple pearl earrings have been uniquely designed using 2 shades of purple Swarovski Pearls from the Swarovski Elements range. 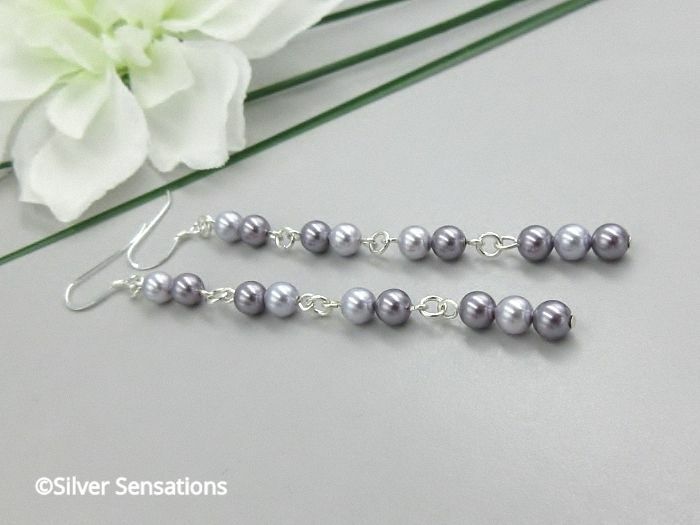 For each earring I've used 5 medium purple Swarovski Pearls & 4 in a lighter purple shade. 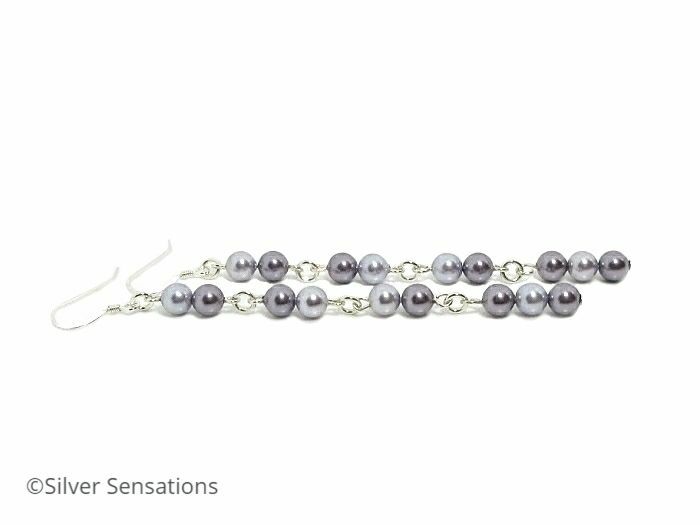 They're threaded onto strong Sterling Silver wire & attached to each other by a small Sterling Silver jump ring, so each small group of pearls move independently to create more swing. Hanging from high quality Sterling Silver ear wires, these elegant earrings have a drop of 3" (7.8cm) from the top of the coil on the ear wires. 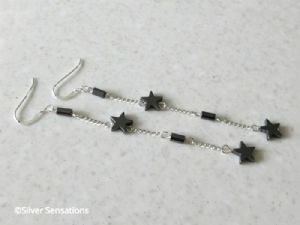 As these earrings are light to wear they swing nicely with even the slightest movement. 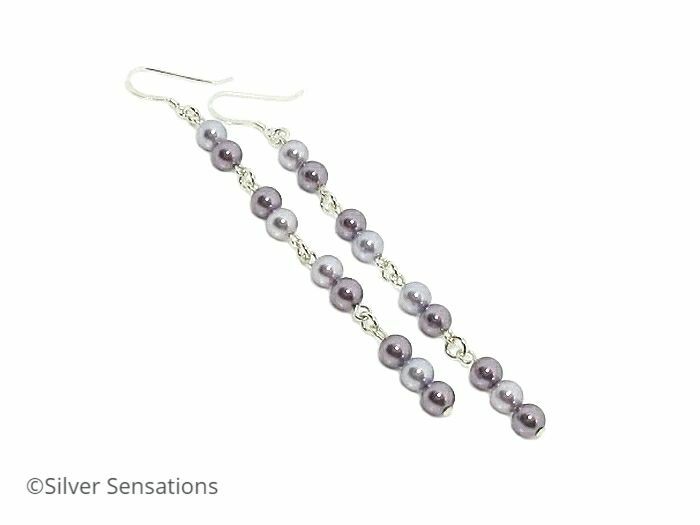 If purple isn't the colour for you, I have other colours & shades of Swarovski Pearls available, so please contact me with your choice of colour(s) & I'll be happy to make a pair for you.